I’m sick of chia… said no one, ever. I see a dozen chia pudding bowls on Instagram every day and you would think this gelatinous, creepy looking breakfast sludge would have surpassed it’s trendy factor, but it hasn’t. Yes it looks gross (ever heard of trypophobia?) and it’s definitely a required mouth texture, but I freakin’ love it! This vanilla chia coconut yogurt is a delicious and creamy breakfast choice. Now I can finally really enjoy it because I found the perfect ready-made vegan yogurt. The Unsweetened Coconut Yogurt by Yoso is the best vegan yogurt I’ve ever had, and the best tasting product Yoso makes. It works nicely to set up your chia yogurt because it’s way better than homemade vegan yogurts. I’ve tried making them using almond milk, coconut cream, coconut milk and more… but it’s never the right consistency. Just buy it from the store and call it a day! You know I love easy vegan breakfasts, and this definitely fits the bill. Here's a super easy way to get your chia seed fix! Open up the container of unsweetened cultured coconut, stir in chia seeds, vanilla powder, and maple syrup. Place lid back on the container and let it sit overnight. That's it! Enjoy for breakfast with granola, fruit, nuts, flaked coconut, and whatever else you desire. 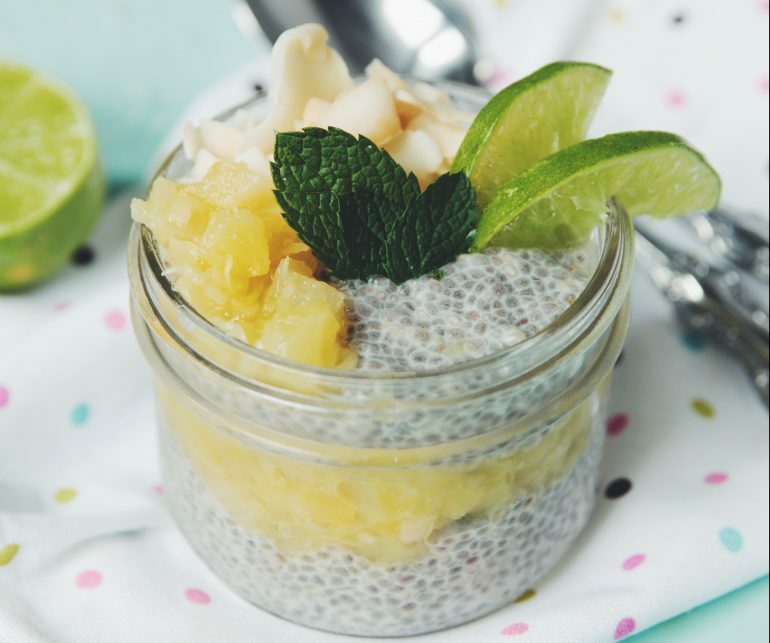 You can also make this chia pudding with a nondairy milk of your choice. Just use 3 tablespoons of chia seeds for every 1 cup of liquid. Stir to combine, add any flavors you might want, and let is sit in the fridge overnight in an air tight container. Give it another stir in the morning as the seeds may have settled, but you'll see they come together pretty quickly. Have you tried So Delicious Coconut Yogurt? For me it far surpasses the YOSO brand’s flavour. I find it at my local Zehrs but I am sure it is accessible elsewhere as well. It also comes in plain, vanilla, strawberry and blueberry flavours which could be really interesting for this yummo breakfast. Just thought I would share. Thanks for the recipe and for this wonderful blog! Thinking it would be nice to replace the sweetener you might use by a couple Medjool dates. Yum ! aah yes, could be done if you blended it or chopped finely. Date syrup?